The falling leaves, icy winds and the sight of elderly people sitting with donation tins in tube stations can only mean one thing. November is approaching and it is time for what is becoming an almost annual debate around the issue of Remembrance Day and the use of its various symbols. 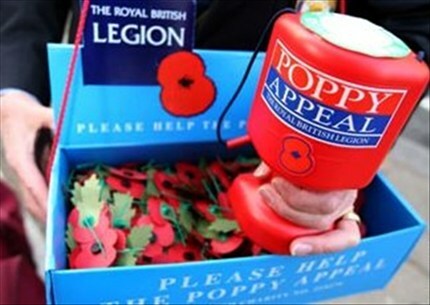 Recent years have seen the accusation of ‘poppy fascism’ amongst public figures not keen on being forced to wear the Remembrance Poppy weeks in advance, as well as FIFA preventing the English football team from sporting it on their kit and even a young man arrested for posting a photo of the burning flower on Facebook. This year, the funky-named Telford-based Methodist Minister ‘Reverend PJ’ announced that she will refuse to wear a red poppy when conducting her service on November 10th. Arguing that the coloured flower as a symbol “advocates war” she proclaimed that she would instead opt to wear a white poppy in support of peace. As someone who refuses to use any symbol referring to warfare, presumably she must also request that the non-pacific sections of The Bible are torn out or presented in Wingdings font. The Church Minister declared that it was her “democratic right” to refuse to wear the poppy. Indeed it is, but as someone held in high regard by her local community and an overseer of rites of passage including the funerals of former soldiers, she cannot expect to take such decisions without consequence. The University of London Union (ULU) went a step further, imposing the ‘democratic right’ of a minority upon members of staff who wished to attend the Remembrance Service as representatives of the institution. The University, which ironically comprises Kings College and its world-renowned War Studies department, stated that it has a “proud tradition of opposing war and militarism”. Yet these decisions, as is so often the case, were based not on sound rational foundations but instead predicated upon a complete misrepresentation of the poppy’s symbolic meaning. ULU’s statement said that “official ‘Remembrance’ ceremonies and the campaign around them glorify and justify Britain’s role in world politics and British militarism”. I’ve never seen any evidence of any glorification or justification or war associated with Remembrance Day, only illustrations of grief and sorrow. Only last year one of ULU’s Vice Presidents refused to lay a wreath due to his “socialist principles” and opposition to the “colonial scramble for possessions”. At no time have I read a card attached to any such wreath declaring the need to bequeath more blood to retake lost imperial territory. Whilst the white poppy, introduced in 1926 bearing the inscription ‘No More War’ and first sold by the Women’s Cooperative Guild in the critical year of 1933, was a noble enough idea it did make the implicit but entirely illogical assumption that those wearing the red version supported more war. Yet certainly now, even if not at the time, this can’t be further from the truth. 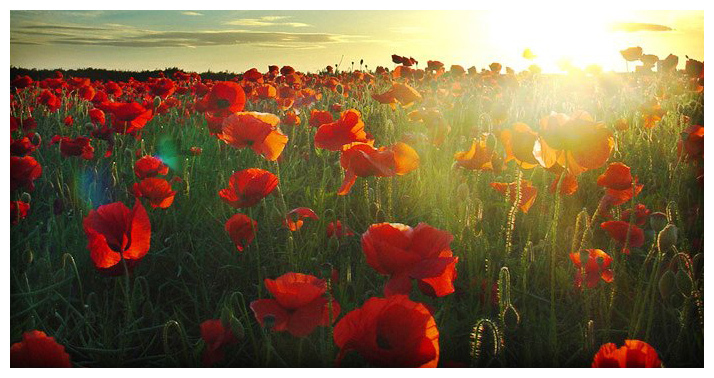 The red poppy has held a symbolic role ever since it sprang from the churned up soil of the Western Front. The sight of the silent, delicate but vibrant flower which grew “between the crosses, row on row” in the fields of Flanders stood in marked contrast to the death, destruction and drab featureless terrain which existed during and immediately following the intense fighting. The emblematic red petals were to many representative of the blood disseminated across that landscape. Witnessing such a spectacle could not fail to provoke a heady mix of emotional human responses and a desire to remember those lying below the surface. Few such witnesses, nor friends and family of those who fought and died could have had much appetite for further bloodshed, even if many of them were to experience another bout within their own lifetime regardless of their hopes. 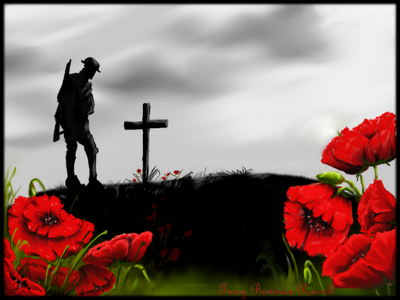 To suggest that those who chose the poppy as a symbol of their grief did so in glorification of conflict is absurd. For individuals nearly a century later to prescribe such symbolism upon, and thereby refuse to recognise it as a result is a monumental insult. Spanish-American poet George Santayana rightly said that those who don’t remember the past are condemned to repeat it. Opposing future conflicts and unnecessary loss of life should not equate to a blanket refusal to recognise and remember the sacrifice made – often involuntarily – by our ancestors. 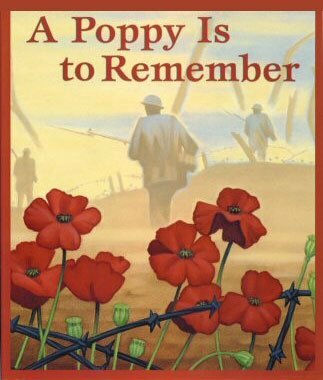 Many of those who lost loved ones during the two World Wars would have stood shoulder-to-shoulder with the red poppy-disapprovers in opposition to further warfare, but would have done so in remembrance of rather than in spite of their loss. If supposed pacifists such as Rev. PJ and the ULU wish to protest against warfare, the best way for them to do so is to lay a wreath and wear the poppy whilst arguing their case rationally and intelligently on behalf of those that it represents.